Chart is based on 998 fuel economy reports for the Audi A4 / S4 / RS4 and 1640 fuel economy reports for the BMW 3-Series. This page shows only averages. 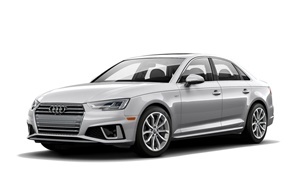 See all the Audi A4 / S4 / RS4 fuel economy data. This page shows only averages. 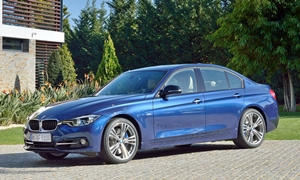 See all the BMW 3-Series fuel economy data. Unlike other fuel economy surveys, TrueDelta's Real-World Gas Mileage Survey includes questions about how and where a car was driven. So you can get an idea of the Audi A4 / S4 / RS4 and BMW 3-Series's where a car was driven. So you can get an idea of their real-world MPG based on how and where you drive a car. 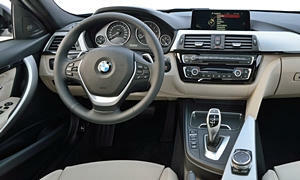 See TrueDelta's information for all Audi models and BMW models. None of our members have yet commented on the real gas mileage of the 2009 Audi A4 / S4 / RS4. None of our members have yet commented on the real gas mileage of the 2009 BMW 3-Series.